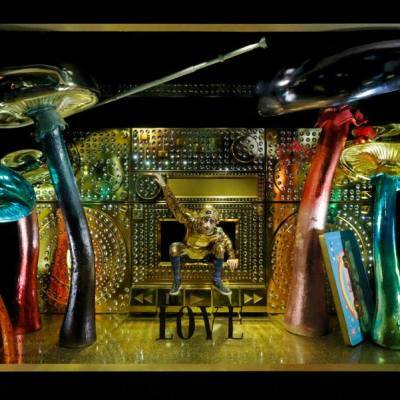 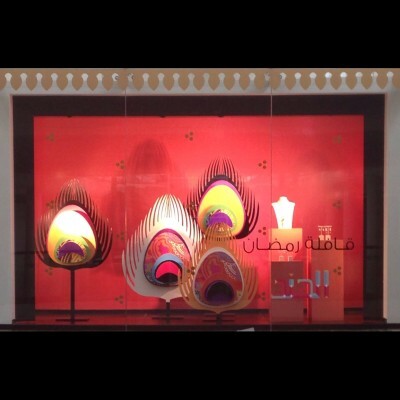 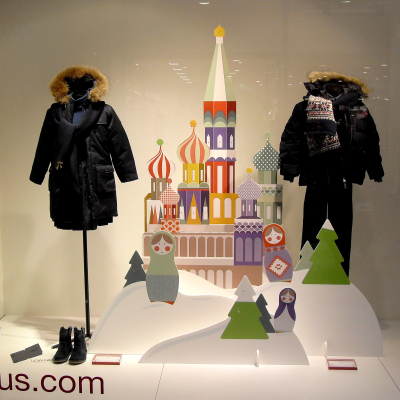 The Harvey Nichols department store in Riyadh in Saudi Arabia and Dubai created Ramadan window displays. 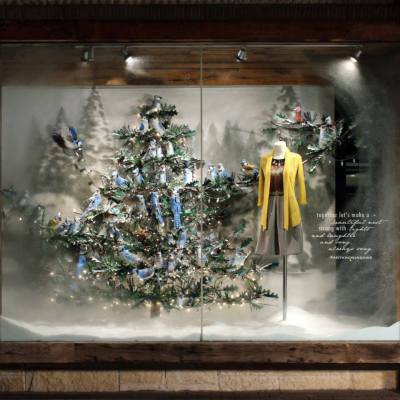 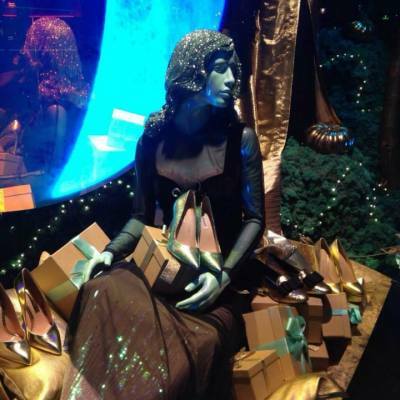 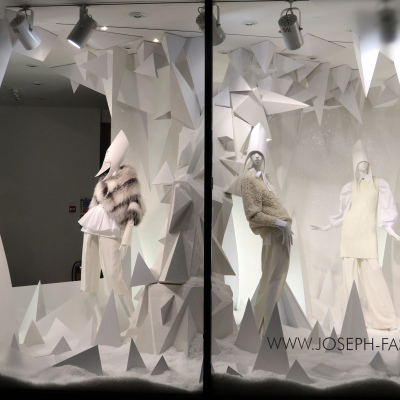 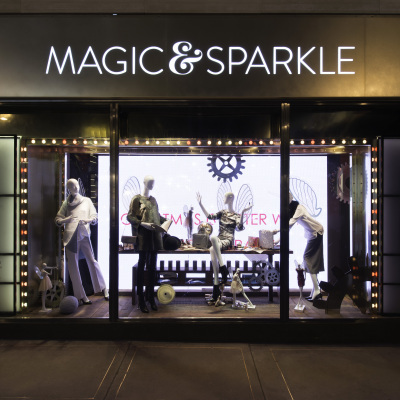 Selfridges started early with the Christmas window displays of 2014, unveiling the enchanted windows in October. 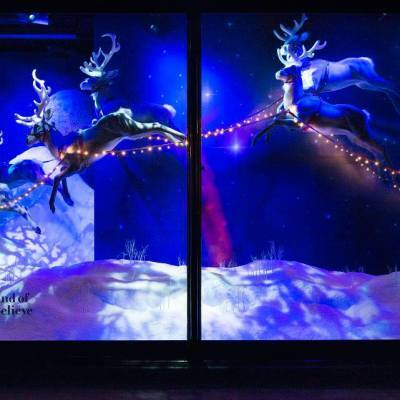 Ted Baker has an interactive Mistletoe installation ‘Merry Kissmas’ for their Christmas window display, created by Kin Design and Tangible Interaction. 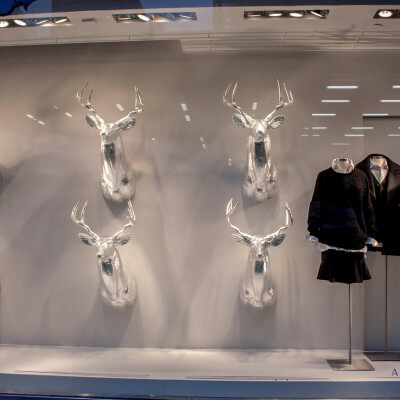 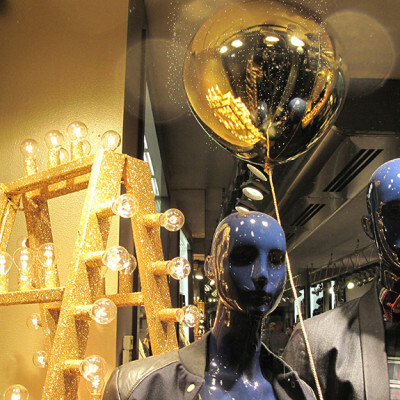 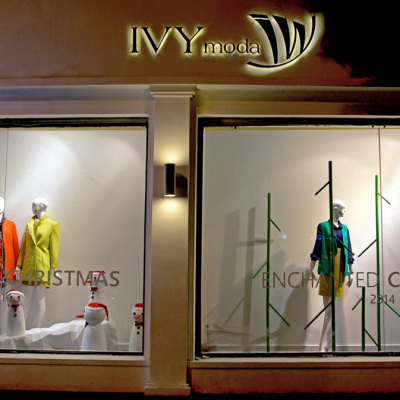 Hilfiger Denim used the colors gold and black for their holiday window displays, matching their blue mannequins.